The Aston Martin Vanquish S Ultimate has been revealed, giving the luxurious GT one final swansong before it’s replaced next year. Just 175 units will be built, across the coupe and Volante convertible bodystyles. 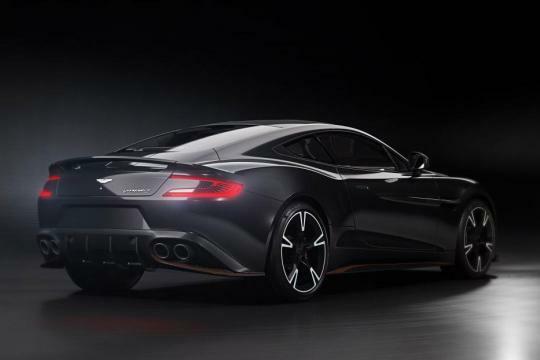 It will retain Aston Martin’s legendary 6.0-litre naturally aspirated V12, producing 595bhp. It will likely be the last high-performance Aston Martin to house the near two decade-old stalwart. 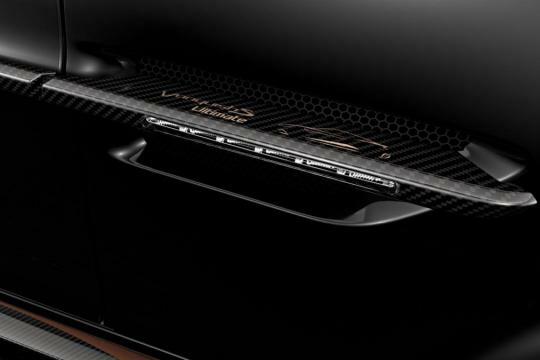 The engine also features in the Rapide S and limited edition Lagonda Taraf saloon. The £10,000 premium over the standard Vanquish S comes courtesy of three bespoke monochrome paint schemes. The Ultimate is available in black, grey and white gold, and each of the three ‘Designer Themes’ has matching interior. 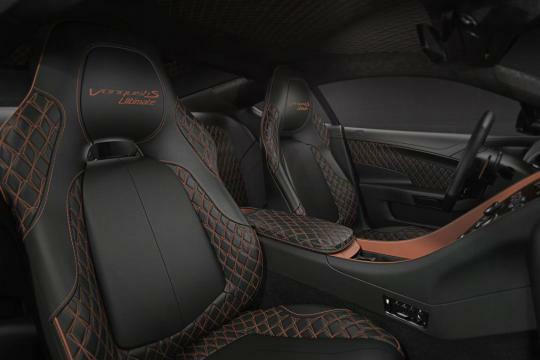 The black Vanquish S Ultimate comes with bronze graphics, also featuring a black leather interior, with bronze stitching and black brake callipers. The second Designer Theme is the grey car, which gets blue accents, grey leather upholstery with blue stitching, and yellow callipers. The third and last Designer Theme gets a matching white gold and bronze interior. 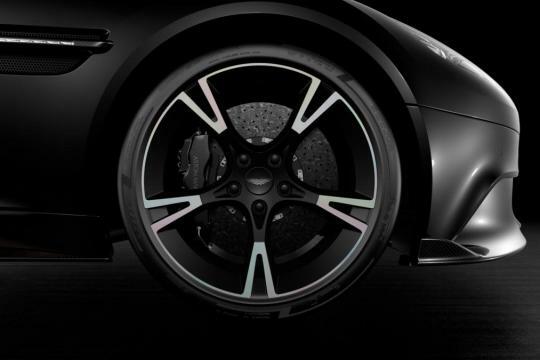 All variants come with unique five-spoke wheels and carbon fibre trinkets along the exterior of the car. 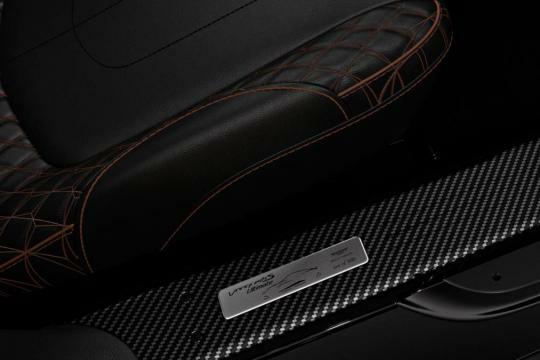 A unique quilting design to the seats is exclusive to the limited-run Vanquish S, as well as Ultimate plaques on the door-sills to commemorate its exclusivity. The Vanquish S Ultimate is available to order now with first deliveries expected in early 2018. The Ultimate edition celebrates the end of the second-generation Vanquish’s production, which began in 2012. 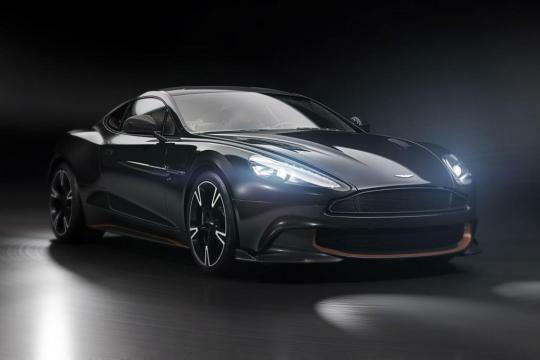 The third-generation Vanquish should arrive in 2019.